This wonderful home in secluded Mountain Meadows Subdivision has a perfect view of Granite Reservoir. 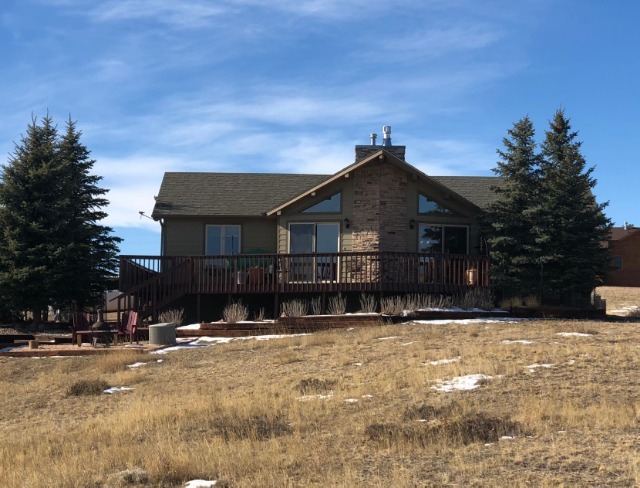 Located adjacent to Curt Gowdy State Park and Vedauwoo National Forest, this mountain retreat features 2 master suites & baths, a 3 car garage and is situated on 3.35 acres just a short 25 min. drive from either Cheyenne or Laramie. Amenities include hardwood floors, granite counters with saltilo tile in the kitchen, a new gas log fireplace, and a huge deck to take in the incredible views of the mountains, sunsets & reservoirs nearby. Mountain biking, hiking, climbing, fishing, hunting and boating are just outside your door. Don't miss this opportunity to live with nature in this pristine setting.